1 In a large pot sauté onions and garlic with olive oil over low to medium heat for 5 minutes. Do not burn. 2 Add carrots and potatoes and cook for 5 minutes more. Add stock and thyme and bring the soup to the boil. Reduce the heat and simmer for about 45 minutes. 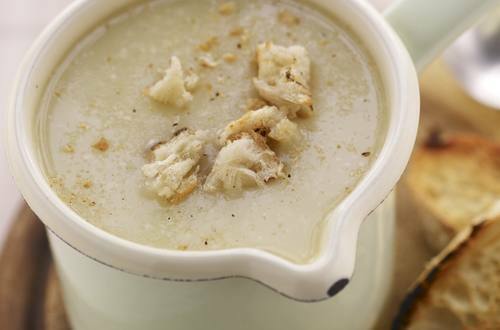 3 Give the soup a quick whizz with a blender. Serve with croutons and a hearty sprinkling of cheese.